WordPress is a popular online and open source website content and blogging management system website. It will serve your needs whether you are a company, a good blogger, news outlet, or a music site. When you use WordPress, it is likely that you will require a hosting company. The hosting service provider will take care of all the technical aspects necessary for running your website. These elements include uptime, scalability, updates, and backups. Many companies are providing WordPress hosting, but it is necessary to find the best one for your needs. The tips are essential in the search for the right company for you. It is vital that your WordPress host operates 24/7 to give you maximum visibility. Make a point of choosing a service provider with a powerful server and extremely stable network connections. The uptime should be close to 100%. The recommendation for uptime score for a good host is 99.5 %. Technical problems hinder achieving of 100% uptime, but it is advisable to go for 99%. Many companies promise this score but not all stick to this pledge. You can determine whether a WordPress company is telling the truth by reading reviews from customers and professional reviewers who follow up uptime records for various companies. Another good alternative is to track a web host with server monitoring tools. You can begin by using one of the free on trial tools. The right hosting provider will back the uptime claim with a reimbursement policy to compensate downtime in the service agreements. Domain names are cheap, and it is likely you will want to take advantage of that and have several of them. Almost everyone does that. It is necessary that you find a hosting company offering a web hosting account that accommodates the addition of multiple domains. You can find a budget shared hosting company allows 25 addon domains onwards in a single account. Nonetheless, some allow just one domain hence it is essential to determine in advance. 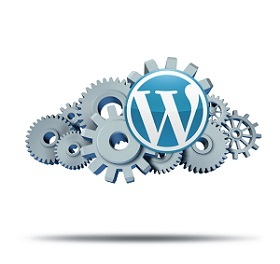 The concept that the service you receive is worth your pay applies in WordPress hosting as well. The average cost for shared and managed to host service for one website is between $5 and $10 per month. The price for a dedicated server varies widely beginning at $20 a month. There are cheaper services, but when it is too cheap, you will probably get a poor service. Many excellent hosting providers have a long term plan allowing customers to make upfront annual payment and offer a decent discount. Always ask about issues that could lead to suspension of your account before signing up with a web host as many will not discuss it. Violation of certain rules or using too much CPU power may lead to suspension of your account even for unlimited hosting. Determine the generosity of hosting companies and the level of restrictions and determine the one suiting your needs. An honest company will provide clear guidelines on the account limitation before you sign up. What is the company refund policy? Does the company charge cancellation charges? When you choose WordPress hosting company, everything is not in your hands. It is important to choose a company with reliable and easy to reach customer support team. Live chat, telephone, and email support should be available as well as social media platforms. Should a small business switch from Office Live to Office 365? Where is the Internet of Things headed to? What are the security issues in IoT? How do wireless technologies affect the Internet of Things? Mambo Microsystems Ltd is one of Kenya's Best Custom application Development and Web Hosting Services Company. Get in Touch with us.